The 20th annual Cape Town International Jazz Festival (CTIJF) is the undisputed highlight on the Cape Town social calendar this week. Taking place on Friday and Saturday, March 29 and 30, at the Cape Town International Convention Centre, the Festival will be celebrating the milestone of two decades of successful local and international jazz, with over 40 performers annually from around the globe entertaining the masses over the two-day annual event. Festival organisers espAfrika announced the final additions to the 2019 line up a couple of weeks ago, raising anticipation levels to fever pitch. The late additions include Gipsy Kings featuring Nicolas Reyes as well as Tonino Baliardo (France) and Jonathan Butler – Homecoming (SA). “After twenty years of Africa’s Grandest Gathering, I’m happy to conclude this year’s line up with two of South Africa’s all time beloved favourites,” said CTIJF Festival Director Billy Domingo. “We will also pay tribute to the late, great Oliver ‘Tuku’ Mtukudzi by celebrating his life through music as we say goodbye to an artist who can only be remembered as a true African legend,” added Domingo. It has been almost three decades since the Grammy Award winning Gipsy Kings first burst onto the world music stage with their self-titled album and since then the band has toured the world, selling more than 20 million albums. Their most recent album ‘Savor Flamenco’, wholly produced by the band, who wrote all the original material, won a Grammy Award for Best World Music Album. While the band has over the years incorporated diverse influences into its sound – such as Latin and Cuban styles, Arabic music, reggae and jazz guitar – they are held together by the melding of front-men Tonino Baliardo’s fluid guitar work and Nicolas Reyes’ vocals. 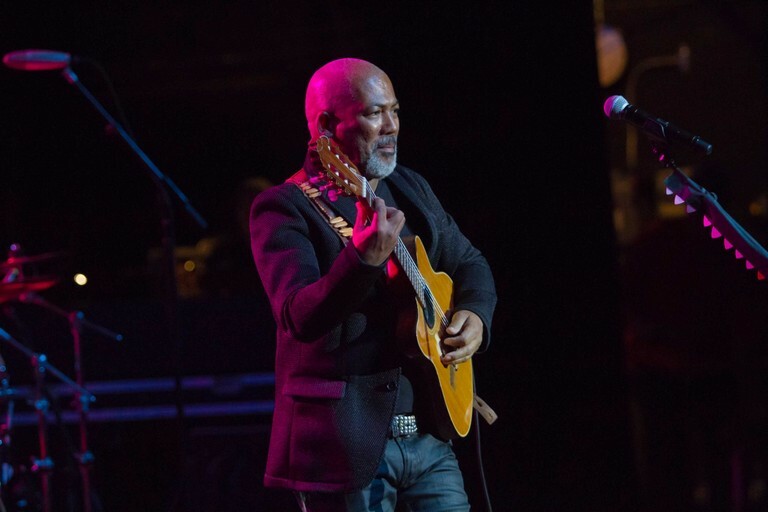 Soulful homecoming crooner Jonathan Butler has remained current by constantly exploring new genres. No stranger to the urban contemporary or gospel scene, Butler is just as comfortable singing an R&B song as he is showing off his jazz skills on stage. In concert the Grammy-nominated Butler draws on a vast repertoire which went down well the last time he played at the CTIJF in 2009. Jazz fans were devastated to hear of the 66-year-old Mtukudzi’s passing earlier this year, knowing full well the guitarist/philanthropist/music legend was due to perform at this year’s CTIJF with singer-songwriter Vusi Mahlasela. CTIJF management have confirmed the line-up for the commemorative tribute, billed as ‘Tuku Music – A Celebration of Oliver Mtukudzi’s Life through his Music’, which will fill Mtukudzi’s original slot on Saturday, March 30. Alfa Mist (UK); BCUC (SA); Ben Volpeliere -Pierrot of Curiosity Killed the Cat (UK); Bickram Ghosh Quartet (India); Chaka Khan (USA); Cory Henry & The Funk Apostles (USA); Craig Lucas (SA); Don Laka (SA); Don Vino (SA); Eliane Elias (Brazil); espYoungLegend 2019 winner – Edgar Muzah & Friends (SA); FKJ (France); Gogo Penguin (UK); Ibrahim Khalil Shihab (SA), and many, many more. * While the Limited Early Bird Weekend Passes are sold out, festinos might still be able to lay their hands on CTIJF 2019 Weekend Passes or Day Passes through Computicket. Tickets for the Rosies Stage must be bought separately and are also available through Computicket.